The Linksys Wi-Fi Routers, E2500 v3, E3200 and Linksys E4200 allow you to easily share your photos, music, and documents within the network using its router's USB storage capability. With the new Linksys Connect 1.4 software and later that comes with the E2500 v3, E3200, and E4200, you can now access your USB storage device through the Linksys Connect USB Storage feature. • A FAT32/NTFS formatted external USB storage device such as an external hard drive or flash drive. • Your Linksys E2500 v3, E3200 or E4200 must already be configured and is working properly. To know how to setup your Linksys Wi-Fi Router, click here. 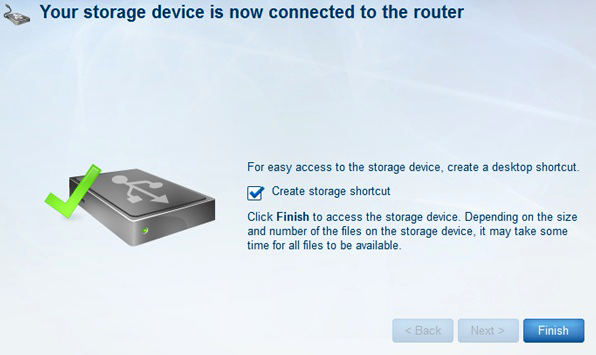 Provided that you meet the above requirements, you can now begin setting up your shared USB storage device using the Linksys Connect software. NOTE: Perform these steps with a wired connection. If you are connected wirelessly, temporarily connect your computer to your router with an ethernet cable to prevent interruptions while setting up. Connect your USB storage device into the USB port at the back panel of your Linksys E3200 or E4200. NOTE: If your USB storage device requires an external power supply, ensure that it is powered ON. NOTE: To launch Linksys Connect on a Windows computer, go to Start > All Programs > Linksys Connect. To launch Linksys Connect on a Mac computer, navigate to the Applications folder in Go, then start Linksys Connect. For more help on this, click here. 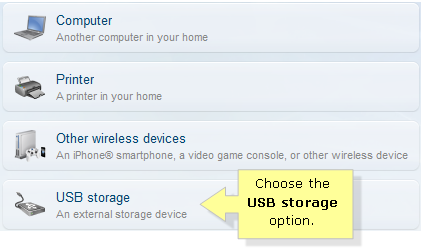 Select USB storage on the devices list. NOTE: If you haven't inserted the USB device to the USB port of your router yet, a similar screen will prompt you to follow the Instructions 1, 2, and 3 to connect your USB device to the router. NOTE: If you have already connected a USB device, the router will automatically detect it. Wait for a while until the router recognizes your USB device. 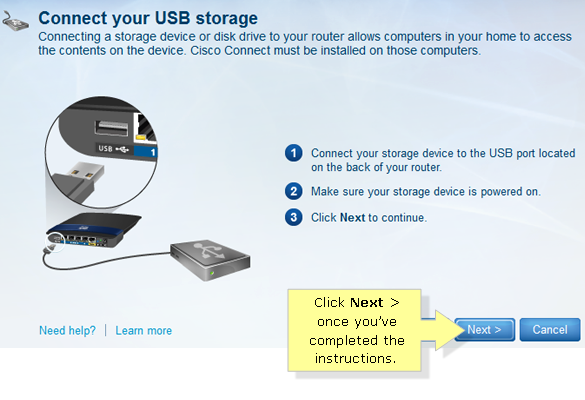 Once it is completed, you will be notified that the USB device is now connected to the router. Click the Finish button to close. QUICK TIP: You can also create a storage shortcut by checking the box that says Create storage shortcut. 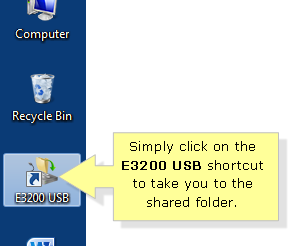 NOTE: You will then see the desktop shortcut to take you directly to the USB storage. NOTE: You will need to repeat this setup for every computer you want to have access to the USB Storage. After setting up, you may want to learn how to create and configure the sharing properties of your USB storage. Learn how to do this by reading the instructions here.